For many cyclists, the death of Amanda Phillips in Inman Square last month served as yet another reminder of the dangers of biking in the Boston area. While an investigation is ongoing, State Police said it appears that the 27-year-old cyclist struck an open car door, which sent her flying into the lane of an oncoming truck. Bike advocates say many factors contribute to such deaths: Inadequate infrastructure on some of the region’s busiest roads, a culture in which drivers don’t welcome or pay attention to cyclists on the road, and lack of accountability for drivers involved in such crashes. 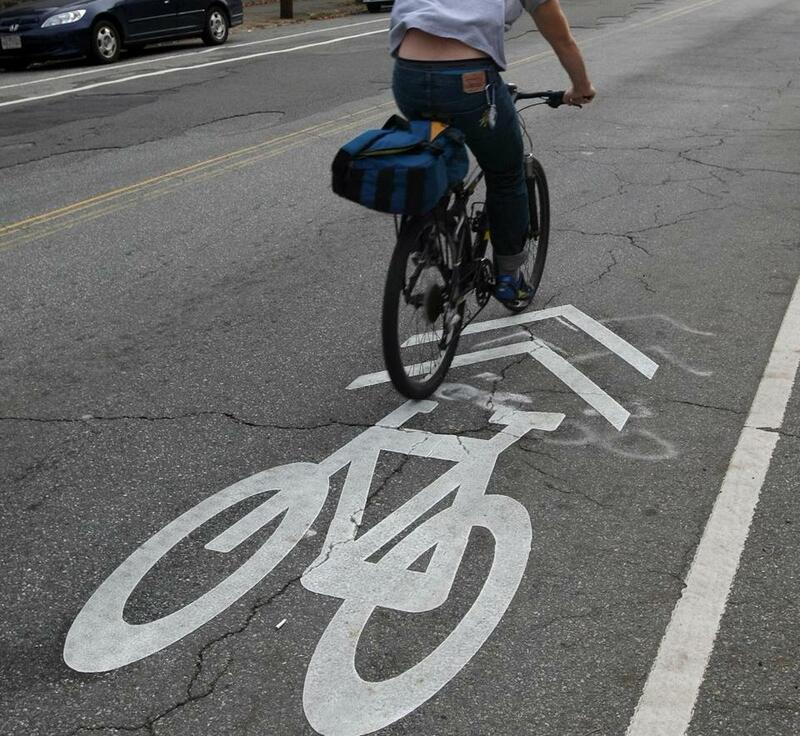 Ken Carlson, chairman of the Somerville Bicycle Committee, and Becca Wolfson, executive director of Boston Cyclists Union, say they want to work on changing all of that. (And some cities are listening: In Cambridge, city officials made moves to fast-track a plan to rebuild the busy and confusing intersection where Phillips died). But until then, cycling advocates say they also want to teach other bikers — beginning or otherwise — tips to stay safe in a region that doesn’t yet feel safe for cycling. “It’s not fair that the onus is on us as cyclists, but it’s something that people biking should be aware of,” Wolfson said. Be hyper-aware at all times, but especially at intersections, and near trucks. The details of many serious bike crashes can be tragically similar: A large vehicle, such as a truck, turns right at an intersection too quickly or without spotting a cyclist traveling alongside. Carlson advises bikers to go slow and pay extra attention when they’re at intersections, or next to bigger vehicles. Whether it’s verbally or through hand signals, let drivers know where you’re going, Wolfson said. If you’re afraid of getting hit by an opening car door, you’re well within your rights to scoot into the regular lane – even if the cars in the lane don’t appreciate it. Feel free to go into the middle of the regular lane, even if there’s a bike lane to use. Carlson said he attaches a mirror to his helmet, and others use mirrors on their handlebars so that they can have a better idea of what’s coming from behind. Bring a friend, if you can. There’s safety in numbers, Carlson said. If more people are cycling, cars become more aware of them in the streets. If a driver sees more bikers on the street, maybe that person will slow down at an intersection next time, or make sure to look over his or her shoulder more. After the Southeastern Pennsylvania Transportation Authority found a manufacturing defect in its commuter rail coaches made by Hyundai Rotem, the Philaldelphia area transit agency pulled nearly a third of its fleet out of service. The fiasco even prompted the T to do an inspection of two of its own commuter rail cars, which were also made by Hyundai Rotem. Like SEPTA, the T had its fair share of problems with its Hyundai Rotem coaches, which arrived years late and with many problems. T officials said that their own commuter rail cars had an entirely different design — and after the inspection, they didn’t find any defects with their own wheel assembly units. “While the MBTA’s truck design is entirely different than that of SEPTA’s cars, the T will inspect trucks periodically to ensure nothing out of the ordinary exists,” Joe Pesaturo, a T spokesman, wrote.